Sometimes one book leads to another, for a reader as well as a writer. I had seen this book on bookstore shelves, but did not decide to read it until I saw it recommended in Jack Canfield's The Principles of Success, which I have reviewed here also. Like last week's book Way of the Peaceful Warrior, this one also uses what I call a teaching myth. It claims to be a true story, and there are YouTube videos that attest to that fact, but this is the type of claim that is impossible to prove, and faith in the story itself is not really necessary to benefit from its contents. The lesson is about attraction, the concept that if we envision and concentrate our thinking on some thing, person, attribute, or life event, we send out signals that cause others to act and things to be placed such that the subject of our thoughts makes its way to us. If we focus on riches, we will become rich. If we focus on a mate, we will find that mate. But like many good things, there is a dark side. If we focus on robbery or sadness or poverty, we attract these things with the same force. It is important to envision what we want and believe it, and even feel the emotions associated with having it. The stronger the emotion, the stronger the attraction, and the faster it will come. You may have heard that you can make sure you get a good parking space by picking it out ahead of time, before you get to the parking lot. This is the same concept. Also, if you have ever experienced something going wrong early in the day, followed by a series of things going wrong, this is the law of attraction at work. This concept of attraction is another time-tested success strategy. It is used by athletes who focus on successful completion of their events. I have found this focus to be useful in many ways, even in getting my contact lens (yes, I use only one!) in and out. It was also featured in the wildly successful film, DVD, and book The Secret. So The Law of Attraction is a good way to learn about the concept of attraction. Stuff gets weird from the start, though. 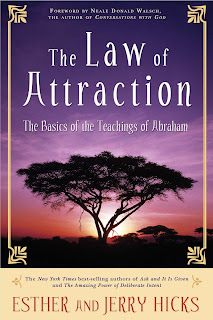 You may have noticed the subtitle: The Basics of the Teachings of Abraham. I thought this might have something to do with the biblical character, founder of the nation of Israel. And though I am not exactly an Old Testament scholar, I don't remember anything about these concepts in the Bible stories. Abraham is the name the authors, Esther and Jerry Hicks, gave to the spiritual entity that taught them the concepts described in the book. The story is formulated as a dialogue between Jerry and Abraham, who is channeled through his wife Esther. 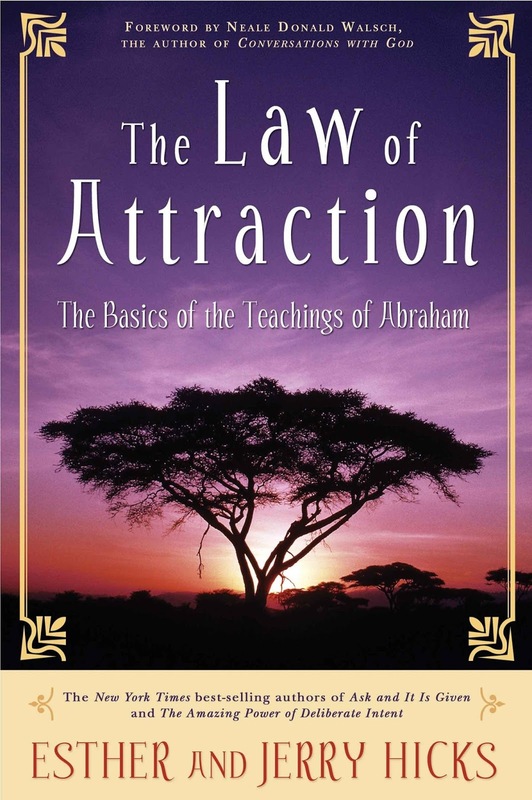 I like the book because it describes the law of attraction well. However, like Way of the Peaceful Warrior, I could do without the teaching myth. Perhaps it will be useful to other readers. That's the review. I would like to take a few words here to shamelessly plug the various links in this blog. I especially want to thank everyone who has purchased my eBook The Philosophy of Suicide, or read it in a Kindle Unlimited subscription. I am pleasantly surprised that sales continue month after month. But I also want you to know that if you want to buy any of the books or movies I review here, you can help me by going to Amazon.com through the links provided here. The price is the same, but I get a little income from each purchase that is made on Amazon thereafter. In fact, no matter what you buy, I will benefit from your starting here before you go to Amazon. I don't expect I will ever be a full-time writer, but the income I get from these clicks and purchases helps keep me writing as a part-time job. Okay, the advertisement is over. I now return you to your regularly-scheduled blog. Thanks for reading!